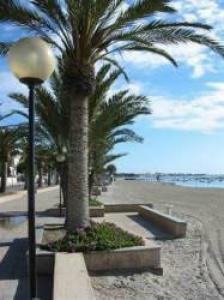 Perhaps the most attractive of the Mar Menor resorts, Santiago de la Ribera sits on the shores of the Mar Menor directly in front of San Javier and the two are closely linked. Home to a superb marina area and some of the best restaurants in the region, it is no surprise that luxury villas and manicured gardens are the standard. 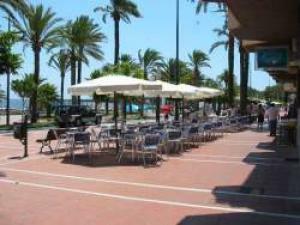 This resort is on the coast of the Mar Menor very close to San Javier airport. In fact you can frequently enjoy a free display from the airforce training school which shares the runway at San Javier. This town is very popular with the townies from Murcia at the weekends, especially in the summer - Santiago is a great place to go and have seafood and enjoy the sunshine. 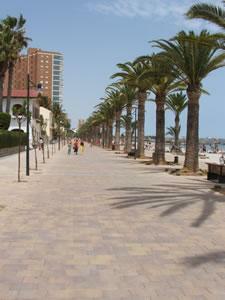 The promenade at Santiago de la Ribera has been reconstructed. 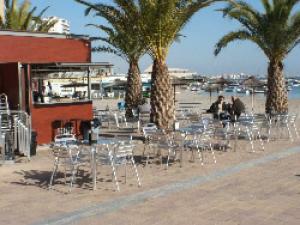 There are two restaurants located side-by-side on the beach. 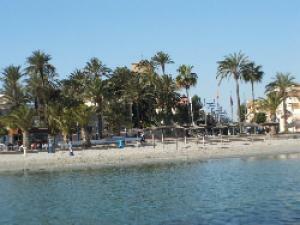 Restaurante Lonja Mar Menor is open for lunch and evening meals all year round. The Pescaderia-Restaurante Miguel is open all day in the high season but lunches only out-of-season. Both establishments have fish shops attached. 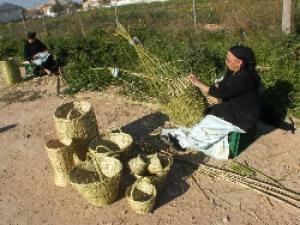 There is a local street market every Wednesday which provides fresh produce and high quality leather goods and clothes. 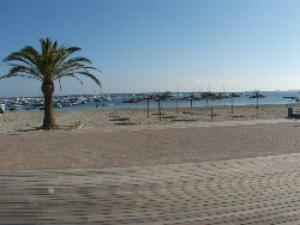 The sandy beach stretches for 4 miles following the promenade around the non tidal shallow waters of the Mar Menor and is the largest salt water lagoon in Europe. The waters of this "lagoon" have an average depth of 3.5 metres with a maximum of 6.5 metres. It is a magnificent natural swimming pool with temperatures which are maintained but the sun of approximately 30°C in the Summer months. 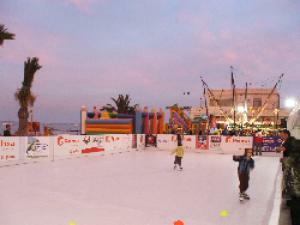 This makes it an ideal place for all types of water sports. 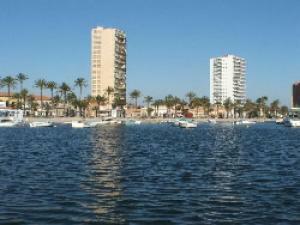 Los Alcazares is well worth a visit and is a 10 min car journey away. 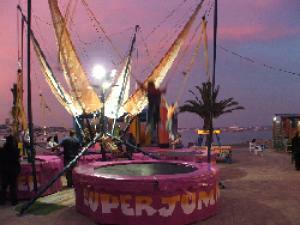 This area provides numerous bars and restaurants and has a beautiful beach with bars located on it. 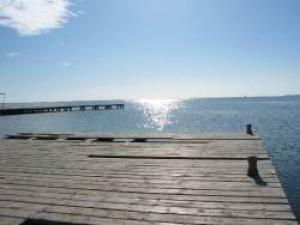 A large watersports centre operates off the beach and provides, canoeing, jet ski-ing, sailing and much more. 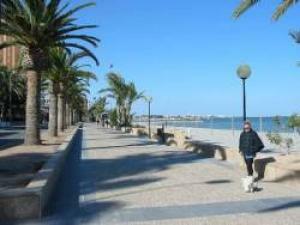 Torrevieja is within a 20 minute drive and is surrounded by salt lakes which are home to a variety of wildlife including pink flamingos which are protected within the La Mata nature reserve. 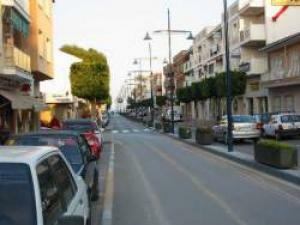 The town has a large marina, fun fair, promenande which is bustling from early evening with street artists and stalls, a harbour walk and abundant bars, shops and restaurants. 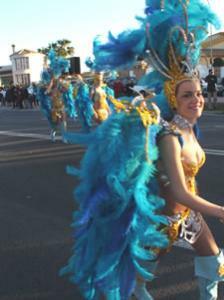 Going North, Alicante is worth a look as are the many beaches and bays all along the Costa Blanca and of course Benidorm is only an hour away with it's vast selection of attractions including the Terra Mitica theme park, Mundomar sea life attraction and Aqualandia water park. There are also a number of golf courses close by, Villa Martin, Las Ramblas, Campoamor and La Finca are only 15 minutes drive away and not forgetting the championship courses of La Manga. The San Javier airport is only a 10 minute car journey away from Santiago de la Ribera and about 50 minutes from Alicante airport.